Where Did Spinal Touch Originate? 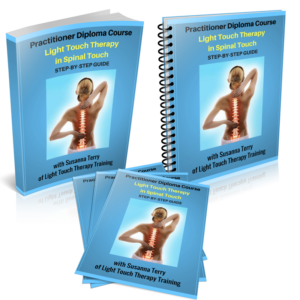 The Light Touch Therapy training consists of a 7 day course taken in 2 Modules about one month apart. Module 1: 25 to 28 of April 2019 and Module 2: 31st of May to 2nd of June 2019. Spinal Touch has been developed by an American engineer, chiropractor and healer in the 1920’s John Hurley. He combined laws of leverage, physiology and acupuncture meridian touch points. His work would have been lost if it was not for the late Dr L Rosquist another chiropractor who introduced it again in 1960. 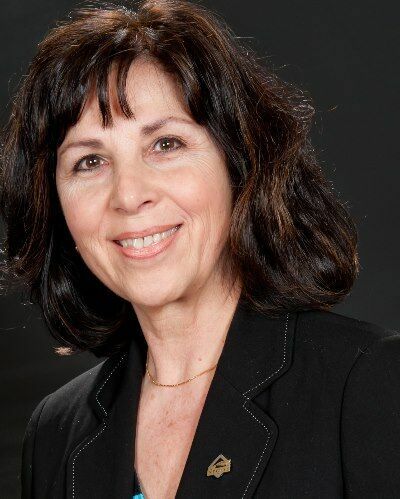 Susanna Terry has been trained and qualified as a Spinal Touch instructor in 1998, by Dr Lamar Rosquist. To date she has trained more than 200 health professionals many of whom have built thriving health practices. Help people who maybe suffering from the following conditions: asthma, back-pain, digestive complaints, headaches, neck and shoulder pain, injuries, low energy and fatigue, multiple sclerosis, scoliosis, sciatica, stress related disease ,whiplash pain and other complaints. Guide the organism to regenerate the energy centres (chakras) and energy field. Give a non-force holistic body treatment which eliminates pain often instantly. Assess the posture of your patient before treatment and thus customize the treatment to the person’s particular needs. -Help people who maybe suffering from the following conditions: asthma, back-pain, digestive complaints, headaches, neck and shoulder pain, injuries, low energy and fatigue, multiple sclerosis, scoliosis, sciatica, stress related disease ,whiplash pain and other complaints. and it is a ‘light touch’ treatment with your diploma you will be able to get insurance or extend your existing one to cover this therapy. The treatment is zero strain for you the practitioner which enables you to comfortably treat more patients. You can see all the corrections you need to do when you assess the posture at the plumb-line before the actual treatment on the couch. You can also clearly see all the therapeutic changes that were made when you assess the posture after you’ve given the treatment. With the treatment you create and hold a safe space. This facilitates the healing of your patient. Due to your enhanced therapeutic skills you will have a high rate of healing results and the referrals to your practice will skyrocket. The treatment procedure is easy to learn. You can work standing or sitting down so you do not feel tired at the end of your practice day. As there aren’t many practitioners offering this treatment you will have referrals from other practitioners as well as from existing patients. You will have a lot of support from Susanna Terry in order to reach a high standard as a Spinal Touch practitioner. Introduction to the real cause of pain and disease and what steps you need to take to reverse it; also how stress affects our body’s posture and the optimum functioning of our internal organs. Discussion of the stressors which we need to avoid and those which we have to learn to live with. Instruction on a different method for assessing postural misalignment in non-ambulatory patients i.e. the identification of which points to use to correct distortion in those who are in wheelchairs or who, due to their illness, find it difficult to stand. Personal ‘ healing attunement’ for each student. Introduction to the different forms of touch. How to muscle test the response of your patient to the contact points you have identified as being necessary for correction during treatment. (You will use some kinesiology principles for this assessment). Demonstration slides of patients with various postural misalignments and discussion of what is necessary for their correction. For the purpose of learning the technique, trainees will treat each other throughout the course. On day three of the course, students will treat visiting clients under supervision. This provides an experience in the treatment of various postural distortions and health challenges. Study of chronic diseases and their treatment with light touch therapy and other therapeutic systems. Revision of the gravity line assessment and Spinal Touch treatment. Study of the course textbooks in order to find the answers to a questionnaire which will be given to complete. The questions cover the material taught during teaching sessions. Record and hand-in 10 treatments on family and friends. Revision of the material taught on the first module. Tutorials on the treatments that students have given on family and friends. Discussion of the more challenging questions arising from the questionnaire assignment. Practical ‘exam’ which consists of giving a treatment to a guest client. Basics on how to build a thriving practice with Spinal Touch. The course is designed for existing therapists or people who have a basic anatomy and physiology knowledge. We can recommend a correspondence course one it if you don’t. Two Manuals. Manual one: Theory and Practice of Spinal Touch. Spinal Touch is the foundational Light Touch treatment. Manual two: Spinal Touch workbook. Handouts in PDF. In addition to the e-books I also provide cheat sheets and other handouts in pdf which will be extremely helpful to you. The equipment to assess the patient’s remedial needs before the treatment. Clinical Practice on Visiting Clients. Interested to book the course by a cheque payment? We accept a cheque deposit of £100 and the post-dated cheque £570 post-dated to 14 days prior to the first day of Module 1. I learned more in the seven days of this course than in the entire period of my time training in osteopathy”. “Thank you very much for a wonderful course. As a medical practitioner I realised that there is always a ray of hope for those to whom we say‘sorry, nothing can be done’. I hope I will be able to help such people with Spinal Touch therapy”. “I found the course very enjoyable. I have now been using the techniques for two years with success. It combines well with other therapies and I have found it to be an effective method to improve or correct spinal or other problems”. “The use of Spinal Touch in my practice has increased my income so much that I have the biggest tax bill I have ever had! “The way a person stands is a function of their relationship with the force of gravity and is a highly individual expression of his/her alignment to health and disease. Spinal Touch opens up lines of communication between client and practitioner. It also enhances and complements the action of the homeopathic remedy. I and many other homeopaths have been using Spinal Touch alongside homeopathy for over fifteen years”.